All Geeks Rejoice: How about that Anime? It's update time! 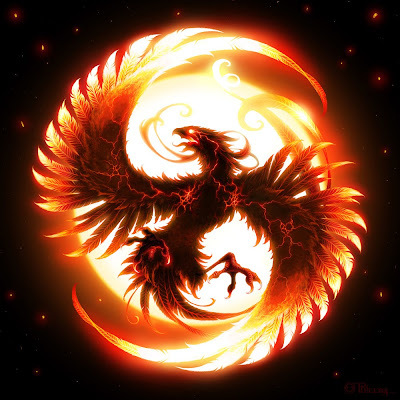 Update Phoenix GO! While my chin currently resides on the floor due to the weight of assignments on my shoulders, I figured it would be best to slide in a quick note on how things are going and show that I'm very much alive. Some may have noticed that I sorta, kinda, maybe, possibly stopped working on Anime reviews for this season. The thing is, it's just too much to keep up with right now to try and write week by week posts for every episode. However! Anime will not be neglected on the site as I shall return to what I started doing: Full series reviews for different Anime you might not have known existed. I'm about to make you Anime curious! Which I realize in hindsight sounds dirtier than I intended. Be prepared for some actual articles and posts. We're talking the whole spectrum (D&D, MTG, Video Games, Videos, Movies, Anime, etc. etc.) because you guys deserve it. If you have any suggestions for anything then don't be afraid to shoot me an email. This is Kylak signing out and losing freetime by the hour.